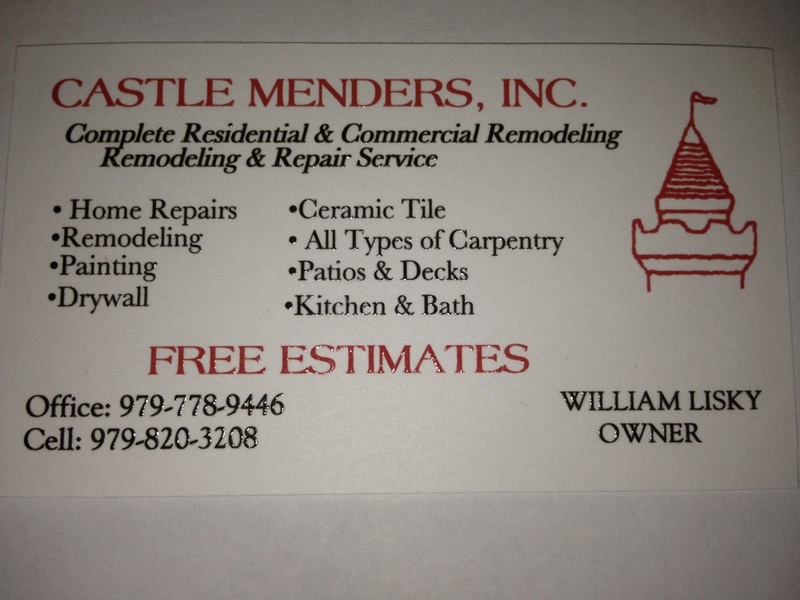 Castle Menders Inc. is a locally owned & operated company that has been doing business in Bryan, TX. & College Station, TX & the surrounding areas. We have over 30 yrs. experience. We offer a variety of Commercial & Residential Remodeling & Repair Services. 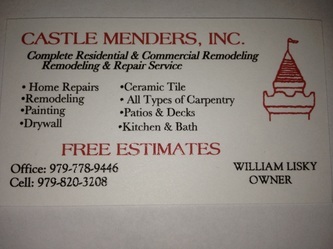 Castle Menders, Inc. offers these services and much more. If you are looking to do some remodeling or need repairs, THEN LOOK NO FURTHER. Please call or email us to arrange a meeting and receive your FREE ESTIMATE or to help answer any questions you may have . AFTER ALL YOUR HOME IS YOUR CASTLE !!!!!!! !